2019 is the centenary year of the International Labour Organisation (ILO), incorporating the Women at Work Initiative. Therefore, this International Women’s Day (IWD) is a great and important time in history to celebrate the contribution made by women transport workers, whilst highlighting the changes that still need to be made in order for women and men to live and work with equal status in the transport industry. 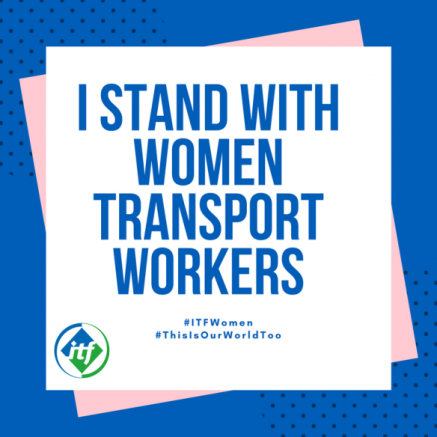 As we plan our 2019 activities, we would like to encourage all ITF affiliates to make sure women transport workers’ voices are heard loudly amidst the global efforts to celebrate women's achievements and to tenaciously challenge bias. The ITF women’s conference held in Marrakech in November 2017 gave birth to the demand #ThisIsOurWorldToo when Seafarer and ITF Women Transport Workers’ Committee member, Jasmin Labarda, led a call to action where delegates posted selfies online calling for other women to feel encouraged to work in the sector. SHARE AND YOU COULD WIN! This year we are asking affiliates to celebrate the positive role women play in our industry, and the contribution the union has made to support more women to enter and remain in transport work. This aligns perfectly with the global theme for IWD this year of #BalanceforBetter, so please make sure you use both hashtags when sharing any social media posts. We will send the most inspiring contributor 20 #ThisIsOurWorldToo badges to share with women colleagues (we have them in a number of languages) which were very popular at the women’s conference at the ITF Congress in Singapore last October. 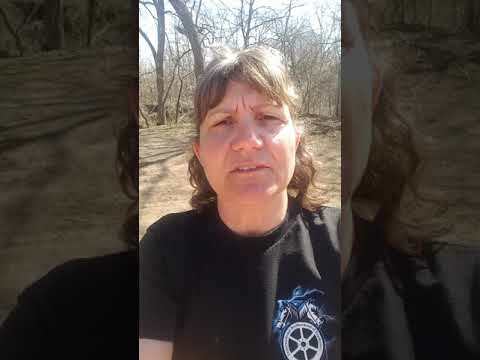 The ITF will be celebrating women transport workers who have work in jobs in the transport industry traditionally dominated by men, on social media. So please keep an eye on our Facebook and Twitter pages and share with your networks. SHARE YOUR ACTION STORIES: With consent of the participants, please send through your campaign activity, photos and/or videos to [email protected] by 29 March so we can add them to our website.